Probiotics, more popularly known as good bacteria, are believed to keep the digestive tract healthy. Probiotic manufacturers are always developing and testing nutraceuticals for good digestion. If you are looking for a wholesale supplier, it would be smart to prioritize efficiency and turnaround time. If you want to partner with the best probiotic manufacturer, know what you want. Set your priorities first. For instance, consider the certifications of a manufacturing company. Also, consider ease of communication. Good communication is important between retailers and suppliers. See if you and the probiotic manufacturer could be on the same page. List your expectations and evaluate the feasibility of your requirements together. Vitakem is GMP-certified, which means our products are results of a serious quest for quality. Further, we encourage prospective customers to ask for a free quote first. This is how we begin an effective communication with our customers. 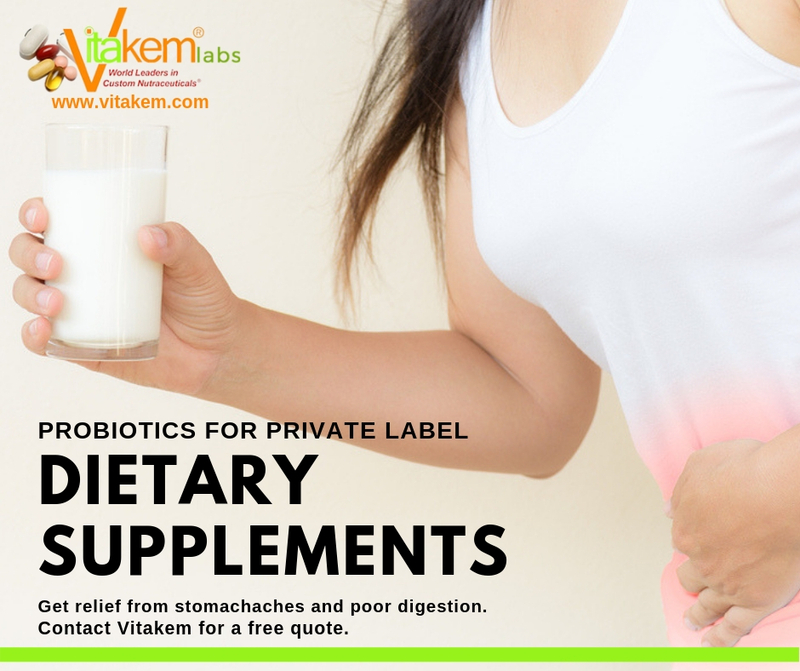 Probiotics From Vitakem Nutraceutical, Inc.
Dietary supplements that prevent disease-causing anomalies in the digestive tract are quite popular. A lot of people often suffer from stomachaches and diarrhea. Poor digestion is linked to many other problems. Hence, probiotics are among the top-selling products at Vitakem. Advanced Probiotic is one of the most popular nutritional supplements at Vitakem. One vegetable capsule a day delivers 5.75 billion microorganisms (also known as good bacteria) to keep the digestive tract healthy. If you want to concentrate on probiotics, order Advanced Probiotic for private label manufacturing. Choose products from our catalog or give us a formulation for customized product development. Either way, Vitakem always strives to deliver only quality-driven products and services. Why Choose Vitakem As Probiotic Manufacturer? Vitakem has manufactured a wide array of nutraceuticals for countless retailers, drop shippers, and Amazon sellers worldwide. We work hard to fulfill the requirements of new and existing retailers. We treat them as partners, because our success hinges on their success. Our product development and manufacturing teams work collaboratively in a 3,000-square-feet state-of-the-art cGMP laboratory. Further, we use advanced technologies to deliver all wholesale orders for drop shipping or Amazon. We are proud of the work we do at Vitakem. We are committed to developing and manufacturing quality products. So, our partners can also be proud of their private label probiotics, vitamins, and supplements. When our customers thrive in the health supplements business, we feel even prouder of our accomplishments. Vitakem uses cutting-edge equipment that enable us to manufacture tens of millions of nutraceuticals (tablets, capsules, liquid-filled capsules, softgels, powders, and gummies) every day. In fact, our customers find our turnaround time to be more than satisfactory because we run a well-oiled ship. 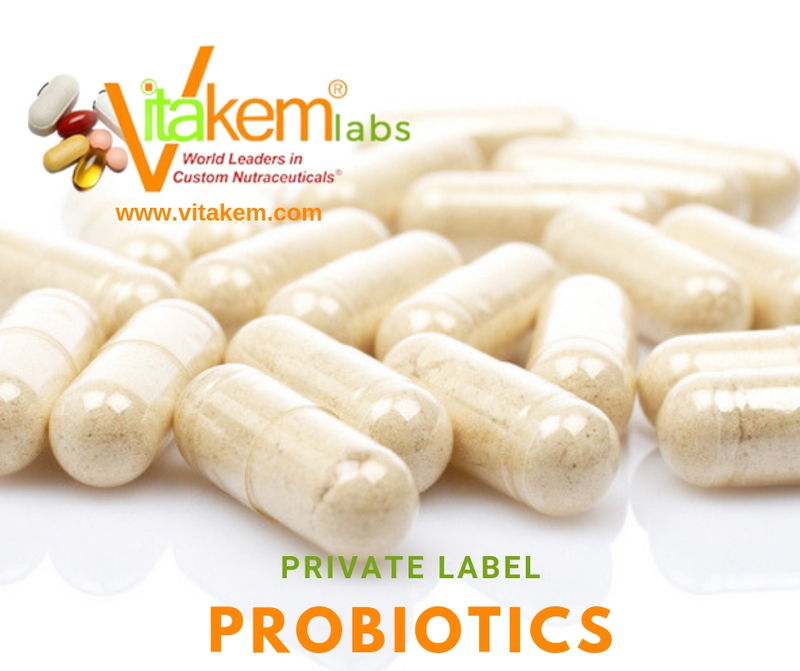 In addition, Vitakem also provides FDA-approved labeling and design for your probiotics and other dietary supplements. 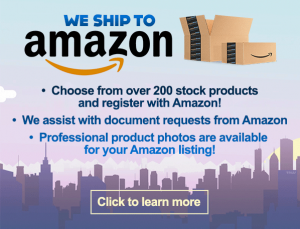 We also offer drop shipping and Amazon services so you can focus only on expanding your business. New Business Or Seasoned Entrepreneur? Vitakem can provide real assistance no matter where you are in the health supplements industry. We can be more than just your probiotic manufacturer. If you are planning to improve or re-position your supplement formulation, our scientists will review your existing supplements. If you are a startup, we can offer substantial assistance in building a product line that stands out among the competition. Ready to launch your private label supplements business? 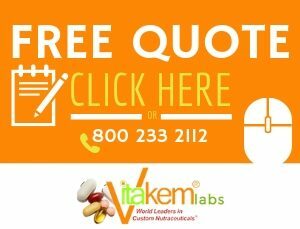 Contact Vitakem today to get a free quote on your desired products. You may also call us at 800-233-2112. We are eager to see you grow your business while helping people to protect their health.